This weekend was one of the best of my life. Saturday night was the culture celebration. I loved it so much. Everyone was there at a grand auditorium. There was a storyline that followed the religious history of Ukraine, and the part where LDS missionaries entered the country, the choir sang, "Hark all ye Nations" and all of the missionaries walked down and onto the stage, singing and waving all the way. At first I thought that it was silly and unnecessary, then when all 100+ were up there, people started standing up and clapping. I saw people with tears in their eyes and I realized how much missionary work means to these people. The church has only been here for a short time, so every single member has been taught by missionaries, and they love us as much and maybe even more than we love them. Then the spot light was shown on the the balcony where President Monson, President Uchtdorf and Elder Nelson were standing up for us, and they were clapping and had tears in their eyes as well. I cannot describe the emotion I felt at that moment to feel a part of such a marvelous and wonderful work. Then each country surrounding Ukraine performed for their country, each as fun and exciting as the next, the last was Ukraine and there was such a roar from the audience and I knew that I was serving in the best mission on earth! 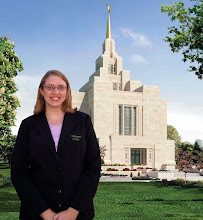 The next day was the temple dedication. One of my favorite parts was just being able to laugh with our prophet. During the cornerstone ceremony he was laughing and just being himself. He very easily transitioned from the humor to the spirit with out any difficulty. They almost went hand in hand for him. I am thankful for his example of lightheartedness and his dedication to the Lord in carrying out His will among everyone throughout the world. This has been an experience I will never forget.